(Text automatically translated) Tastefully renovated house in the heart of the village of Saint Esteve Janson. Calm. Terrace, garden, overlooking the Luberon. 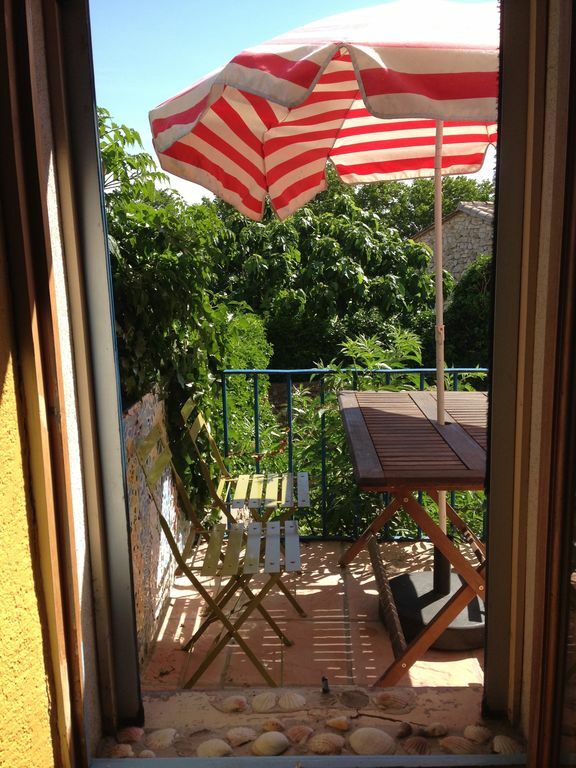 Old town house, nicely renovated, located in Saint Esteve Janson.Very quiet. Terrace, little garden, you can see the Luberon mountain. (Text automatically translated) * From Marseille or Aix-en-Provence: take the A51 motorway towards Gap. Take exit 14 (Meyrargues), turn left under the freeway and turn right on the D556 towards Pertuis. At the first roundabout turn left onto the D561 towards Le Puy-Sainte-Réparade. Around the village of Puy-Sainte-Réparade the right, then continue for about 4 km. Entrance to the village on the left, in front of a stud. * From Paris, Lyon and Montpellier: Leave the A7 at Senas (exit 26). Take the N7 of 11 km, direction Lambesc. At the exit of the village of Pont Royal, turn left towards the D561 Charleval, La Roque d'Anthéron. Continue for 21 km. The village of Saint-Esteve-Janson will be on the right side of the road in front of a stud. (Text automatically translated) * Located on the edge of the Luberon Regional Park, the village of Saint-Esteve-Janson (340 inhabitants), authentic Provencal village is a starting point for many tourist, cultural and sports activities for a few hours or the day: * Hiking in the Luberon, in the Montagne Sainte Victoire. * Aix-en-Provence, historical and cultural city, fountains, museums, restaurants and nice shops (25 minutes). * Marseille, large cosmopolitan port, cultural events, restaurants, creeks (on foot, by boat or canoe-kayak), beaches, islands of Friuli (50 minutes). * Cassis, its pretty harbor, attractive shops, creeks (hiking, climbing, boat, canoe-Kayak) (55 minutes). * La Roque d'Anthéron, its classical music festival (5 minutes). * Cistercian Abbey Silvacane (5 minutes). * Cistercian Abbey Sénanque in the pretty village of Gordes (60 minutes). * The famous ocher quarries of Roussillon (55 minutes) typical villages of the Luberon: Lourmarin (and its castle and art galleries), Cucuron, Lauris, Bonnieux, Buoux Ansouis (his famous restaurant La Closerie), (5 - 20 minutes) * Wine Route, wineries, wine cooperatives.